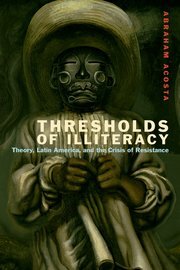 Over at the Infrapolitical Deconstruction Collective, an important project with which I have been (so far) rather peripherally involved, Alberto Moreiras comments on Bram Acosta’s Thresholds of Illiteracy. Specifically, he comments on that book’s introduction, which sets up a dichotomy between John Beverley’s Latin Americanism After 9/11 and my own Posthegemony. Acosta suggests that these two books “are already being used to establish the terms and grounds of cultural debate in Latin America for the next several years” (19). And yet it soon emerges that, in Acosta’s eyes, this would be a serious mistake. For despite their differences and even apparent disagreements, they are both, he argues, complicit in the same founding gestures. First, Beverley and I “identif[y] and conflat[e] deconstruction and subaltern studies” (20-21). Having done so, we then proceed on “the same disciplinary premise: the rejection or presumed exhaustion of deconstruction as a critical practice” (22). To which Moreiras adds that the two of us both “play to a choir of bedmates.” So there’s apparently quite a crowd under the sheets, and a noisy one too, illicitly consorting together. Now, I’ve already written at some length about Beverley’s book, and don’t plan to do so again. Suffice it to say, however, that I would point to differences between his project and my own that Acosta doesn’t even mention, not least a very different approach to politics. As I put it, and against Beverley’s trenchant defense of Latin America’s so-called left turns, in my view “politics is about indeterminacy, possibility, and potential. It is about what is not written or predetermined. Politics is about strategy, surprise, critique, and a fundamental dissatisfaction with the present state of things.” It might also be worth saying that I make this point in the light of an affirmation of subalternity, which I define both here and in Posthegemony in terms of “the possibility of betrayal, even self-betrayal” (cf. Posthegemony 266). In my book, indeed, I concur with and quote Moreiras on precisely this point: in arguing that “the subaltern is beyond representation, an insurgent betrayal of constituted power” (Posthegemony 234), I cite his characterization of “subaltern negation” as posthegemonic in that it is a “refusal to submit to hegemonic interpellation, an exodus from hegemony” (Moreiras, The Exhaustion of Difference, 126). I’m not sure if this makes Alberto a bedmate or part of the choir, but it does complicate things a little. As, for that matter, does the fact that the “deconstruction” that Beverley rejects is firmly intended to include me and my work. Indeed, according to Beverley I am “a product of deconstruction”. Even, then, if we were both rejecting deconstruction, it’s fairly obvious that it’d be rather different things we’d be turning our backs on, rather different partners we’d be kicking out of the bed. Yet for what it’s worth, I may reject many things, but not deconstruction. When Moreiras refers to the notion that “Beasley-Murray and Beverley may not be now quite where they were a few years ago,” he may be thinking of my more recent “Rogue’s Take” in which I declare, perhaps to Beverley’s delight, that “I am now and always have been a deconstructionist.” But the most cursory reading would evidence that in Posthegemony, too, it is simply not true that (as Acosta argues) “the source of the problem” is deconstruction (21). Else why would I have spent so much time arguing about hegemony theory and civil society? Moreover, it should be equally obvious that, far from a rejection of deconstruction, let alone subalternism, my claim and my aim–in which of course I may or may not be successful–is to build on some of their key insights. In fact, in the introduction to my book on which Acosta’s reading mostly relies, what I am trying to establish is rather a genealogy of the concept of “posthegemony” that is absolutely indebted to both of them, and to the work of Moreiras (and Gareth Williams) in particular. Of course, I do indeed state that I am “not content” with deconstruction, but one doesn’t write books out of a sense of contentment. But the more interesting question, I think, is this one, which would encourage a less spectral and more productive discussion: not so much that of the relationships between posthegemony, illiteracy, and deconstruction, than that of their mutual (possible) contributions to the notion of infrapolitics. “Infrapolitics” is a term that neither Acosta nor I employ, but I would argue that Posthegemony is indeed fundamentally concerned with the concept. It is so in the sense that infrapolitics is a matter of the non-political without which the political itself would be unimaginable or impossible. This is something that has long been a constant in my own work: the curious could consult a very early essay on “Ethics as Post-Political Politics”; or you could take Gareth Williams’s I think fair capsule summary of Posthegemony as a “critical discussion of the relation between the concept of the multitude and the underpinnings of the political.” The specific question then of Acosta’s book would be to what extent “illiteracy” is also an attempt to think infrapolitics, and then what this would say about the relationship between (il)literacy and politics in Latin America and perhaps elsewhere. The broader question would concern the varieties of infrapolitics and the extent to which posthegemony can inform (as well as be informed by) our notion of the infrapolitical. Presumably infrapolitics is not solely the domain of deconstruction (or at least non-rogue deconstruction, if there is such a thing). What arrangement of beds or bedmates, choirs or singers, does infrapolitics then suggest or allow? I’ve been dropped a line by someone involved in “an online blog experiment” that brings together what seems to be a class run by Gene Holland and Brian Rotman on “Multitude, Anarchy, Occupy” at Ohio State, plus a graduate student reading group at the University of Washington. They are interchanging ideas over at Nomad Scholarship and it’s worth reading their discussions. This week, they’re reading the conclusion to Posthegemony, which you can find here. Update: And now there are a couple of very insightful (and, I’ll admit, rather flattering) posts up, on Posthegemony: Cheryl Gilge’s “multitudinous” and Keith Harris’s “You had me at ‘posthegemony'”. It’s been too long since I last posted… I hope to tend to this blog a little more in the new year. 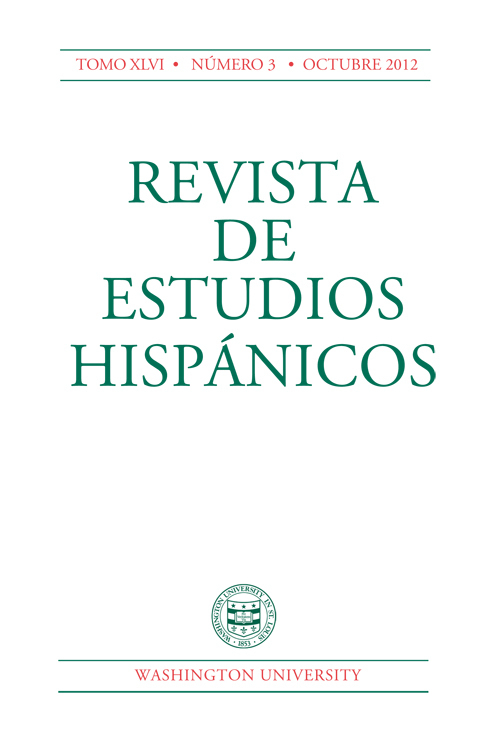 In the meantime, this is simply to point to another review of Posthegemony , by José Ramón Ruisánchez Serra in the Revista de Estudios Hispánicos (46.3 [October 2012]: 577-78). En parte gracias a Posthegemony resulta inaplazable pensar las implicaciones entre estudios culturales y populismo, así como la alianza entre la teoría de la sociedad civil y el status quo neoliberal. Pero no creo que mediante un abandono total de sus aportaciones anteriores. Acaso allí se muestra la ansiedad del primer libro. El uso de la tríada afecto/hábito/multitud está lejos de llenar el espacio que se genera con la demolición de la alianza hegemonía/teoría de la sociedad civil/estudios culturales; hay que saber usar las ruinas. Su abandono total es el producto más obvio del capitalismo académico, acaso más temible y aliado de la hegemonía neoliberal que otras prácticas que se critican en el libro. Si finalmente es difícil discernir entre multitud e imperio o entre buena y mala multitud (257), ¿qué las vuelve un horizonte deseable para la teoría y la práctica actuales? La importancia de una propuesta co- mo Posthegemony ha sido reconocida, por ejemplo, en el hecho de haber alcanzado la única mención de honor que otorga el Katherine Sin- ger Kovacs Prize del MLA para las publicaciones del 2010. Pero sobre todo porque, en las múltiples cues- tiones que despierta, deja abierta la puerta para caminos que aún que- dan por transitar. A rather good review of Posthegemony from Charles Hatfield, one of the few so far that has (I think) got what I was trying to do in the book. 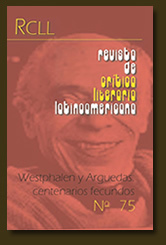 The review mostly consists of a smart summary, followed by a pertinent criticism: In continuing to stress the “primacy of the subject” Hatfield asks whether the book then “duplicates, albeit in a radical and ethereal form, the crucial logic of Latin Americanist identitarianism.” I’d answer “maybe,” especially in that I think it is worth defining a Latin American multitude. Posthegemony is a book of major theoretical importance and profound political and disciplinary implications. 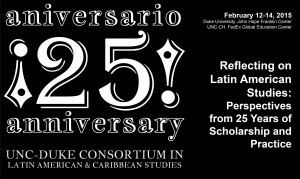 It ranks high within the crowded field of recent work on the relationship between culture and politics in Latin America. Beasley-Murray’s book will be a main point of departure for our most important debates for many years to come.